Located in the heart of the Caribbean archipelago, Martinique is one of the Windward Islands in the Lesser Antilles. Its eastern coastline borders the Atlantic Ocean while its western coast is flanked by the Caribbean Sea. Martinique has a surface area of 1101 square kilometers. The rugged mountainous landscape to the north is geologically young. Mount Pelée is the island’s highest peak. The north is characterized by dense forests, rivers and waterfalls. In the center, the Lamentin Plain transitions to the south’s gentler and geologically older landscape of rolling hills. The southern coast is dotted with many picturesque bays and coves. In the southernmost part of the island, a savanna of petrified trees is an unusual geological sight. 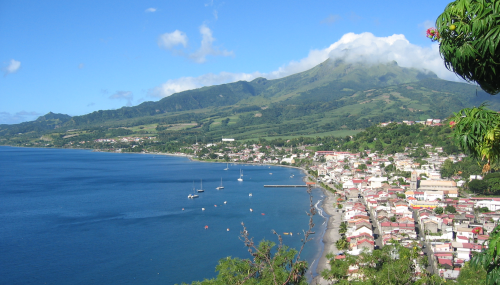 Martinique has a fairly mild climate and the heat is never excessive. Martinique has a multiethnic population. This diversity stems from the cultural mixing of the island’s successive inhabitants: Amerindians, Europeans, Africans, Indians, Levantines and Asians. The island has been marked by multiple influences and cultural mixing; its eventful past is evidenced by its architecture, historic monuments and museums. Approximately one quarter of the population resides in the administrative capital, Fort-de-France. Martinique debuted in Miss World 2005 and reached the semifinals in 2009. This year Andy Govindin, is the face of Martinique in Miss World 2012. The Times of Beauty proudly presents Andy Govindin, Miss Monde Martinique 2012, in an exclusive interview for our interview series, Meet the Misses. I'm Andy Govindin, I'm 23 years old. I have a Masters degree in History and creation of cultural projects and I would like to be a events organizer to make tourism promotion of countries all over the world. From the 19th of July to the 19th of August, I represent Martinique with pride and honor during one month in Miss World 2012. Martinique is a beautiful island by the Caribbean sea. We have beautiful landscapes like the Morne Larcher, a mountain which form a woman sleeping. We say Martinique is the Pearl of Caribbean and the Island of Flowers also. We can see ten small islands near my hometown. The Robert is located in the east of the Island, and with my boat I can make you visit the Ilet Madame (Madame Island) or Ilet Chancel, the longest. If you want discover my island, it will be a pleasure, you are welcome! It's important for me to travel, to learn several languages like Chinese, Portuguese, Arabic and Russian. Because I would like people to present me their culture, gastronomy, history by themselves, how they living each days. And then, with more knowledge, I could create events faithful to their culture and traditions. I'm proud of me, because I have been chosen to be the ambassadress of my country in Miss World 2012 in China. It was a long trip from Martinique, almost twenty hours to arrive to Ordos in Inner Mongolia and each day I give the best of me. I like the Logimage, it's at the same time a fun and logical game. You have to make a drawing thanks to numbers. I always surprised to discover my drawing ! Then, I use Internet to chat with my friends, looking fashion pictures, listening to music and reading true stories. My friends describe me like a person determined who know what she want, always ready to realize her goals, very serious, funny also, because I like to make laugh in Creole, one of the languages of my country. My accent is so funny when I am speaking it. I'm friendly, smiling and sweet with everybody. I stay true, I don't change my personality because I want people see me how I am, to see inside of my heart, my inner personality, like a decent person, well brought up who respect the others. To make the difference I stay natural. During the adventure of Miss Word, we visited the Singing Sand Gorge in Ordos. We took a cable car to go up. We arrived at 5:30 am It was just amazing to look at the sun up on the sky in the desert. Everybody keep silent to leeward. The worse for me is never trying because if you don't take risks in your life, you will never know your capacities, your abilities. We learn by failing also. Life is a part of win and failing. The most important is to be continued the way you want to do. In the world we have so many different people with their own traditions and often we have negative judgments without trying to understand. For me any country have the monopole of beauty, of gastronomy etc.… We are just different because we didn’t have the same past. Finally, accept differences to eliminate racism. 10. How do you define beauty? Beauty is a question of personality, a good education, talented, completed and friendly. Physical is just a part of beauty and a natural beauty is the most important. I’m living a amazing human adventure to Miss World 2012. I send big kiss to everybody who followed me and who believes on me. Martinique is represented! 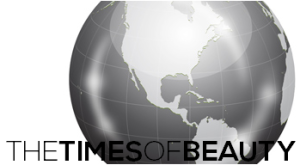 Big Kiss to all readers of The Times of Beauty, thank you for your attention! And thank you to The Times of Beauty for the interview! Favorite Food: I like the “TI NAIN LANMORI” one of traditional food of my Martinique. Bananas are cooked in hot water and spices. Then, you add some codfish to have a salty taste and don’t forget avocado and chili. It’s very simple to cooking and so delicious. Favorite Movie: The Color Purple of Steven Spielberg. I always felt the same emotions when I look this movie one again. Favorite Book: I like reading true and dramatics stories of Europeans and Africans societies. My last book was “Slave to 11 years old” by Fatima, the hero. It’s a true story. Her aunt constrained to get married at 11 years. I’m very sensitive to this kind of story. Favorite Actor/Actress: Aishwarya Rai, the beautiful actress of Bollywood movies, she remind me my Indians origins. She was Miss World 1994.